Millions of young children experience tactile sensitivity, a condition that can make regular clothing feel awkward and uncomfortable. For these children, getting dressed can be difficult. Without the right clothes, even normal physical activity can become unpleasant. There is a clothing line that specializes in clothing for these children. It is called Tereskids. 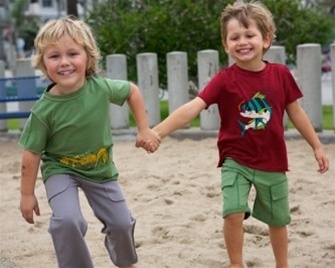 Teres Kids offers the highest quality, 100% tagless, seamless clothing for children that looks great on. If you have a child that has difficulty finding clothing that is comfortable and nothing seams to feel right, this clothing line is perfect. I know from experience that when you have a child with a sensitivity to certain clothing it is very hard to find something that is comfortable for them and still looks presentable. Any child with a sensory disorder will feel comfortable in these clothes. Teres Kids’ 100% organic cotton clothing is created and produced with respect for the environment and an awareness of our responsibility to our customers and planet Earth. The clothing is sourced and manufactured entirely in the United States, keeping our carbon footprint to a minimum.